MRT will offer open captioning performances for all shows this season, thanks in part to TDF. MRT's Liberty Hall is ramp accessible and located to the left of the main entrance. Wheelchair space is available by notifying the Box Office when purchasing tickets. Please reserve listening devices through the box office. MRT is equipped with an FM hearing enhancement system. Wireless headphones are available free of charge at the main lobby concessions. Assistive listening devices are made available to patrons at all performances. 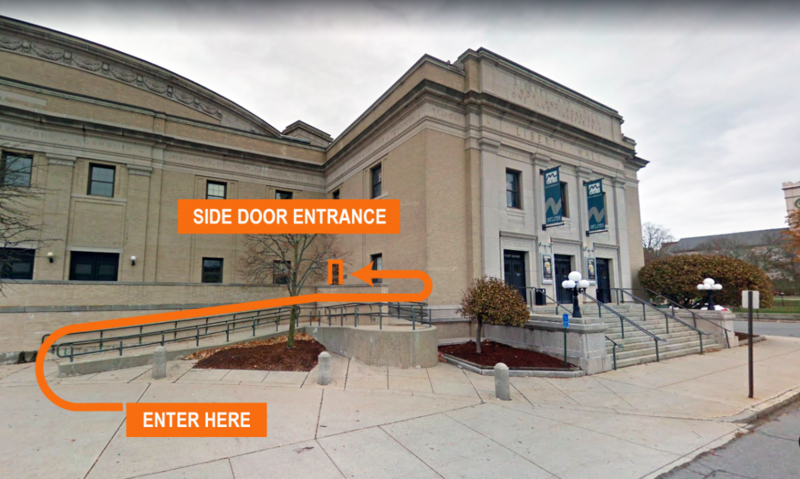 For more information on our venue, please contact John Dyson, House Manager, at 978-328-5754 or john.dyson@mrt.org.